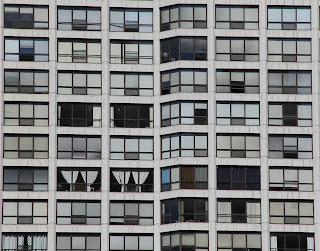 After this image was taken I realized an unwitting influence: German photographer Andreas Gursky, known for his detailed depictions of the curtain walls of residential apartment buildings. 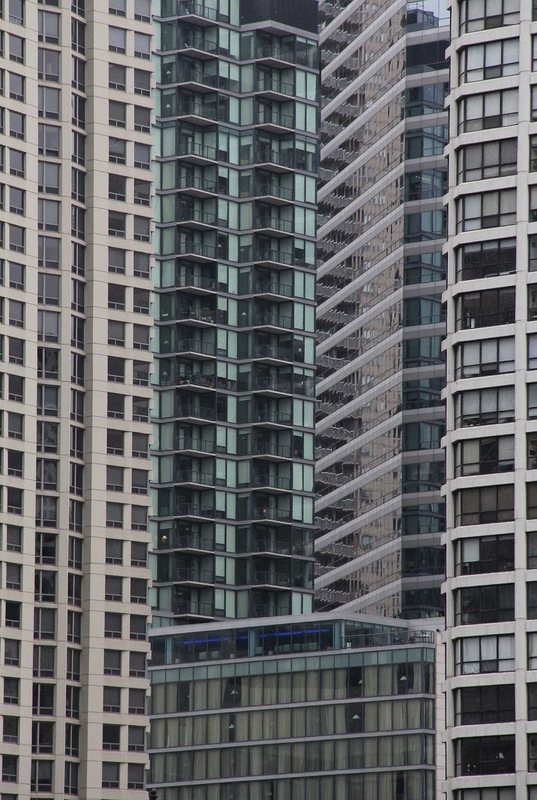 The title “Units” has a double-meaning: units of an image as well as Units (apartments) within a building. 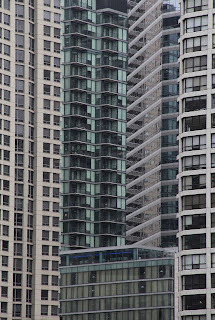 Two Units from one of the buildings are cropped out of the prosaic, nondescript facade, for the unique nature of the decoration within them, which pierce through the dull repetition of the vertical and horizontal chockablock clusters. 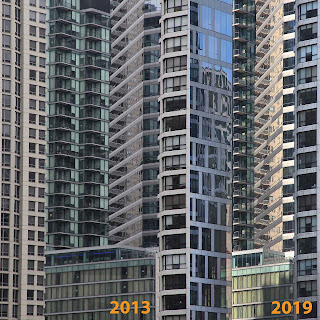 The cropped bays are from another photograph taken in 2017, not visible here, and out of the “frame” both spatially and chronologically. 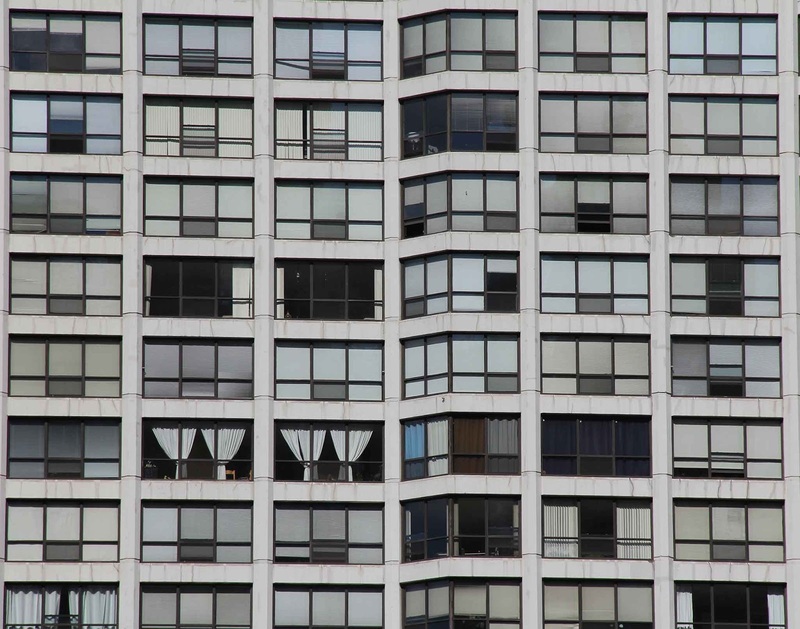 Taking a photograph of banality in an urban environment, and placed in another context, suggests inadvertent voyeurism, as the windows of each unit are simultaneously conspicuous and inconspicuous. 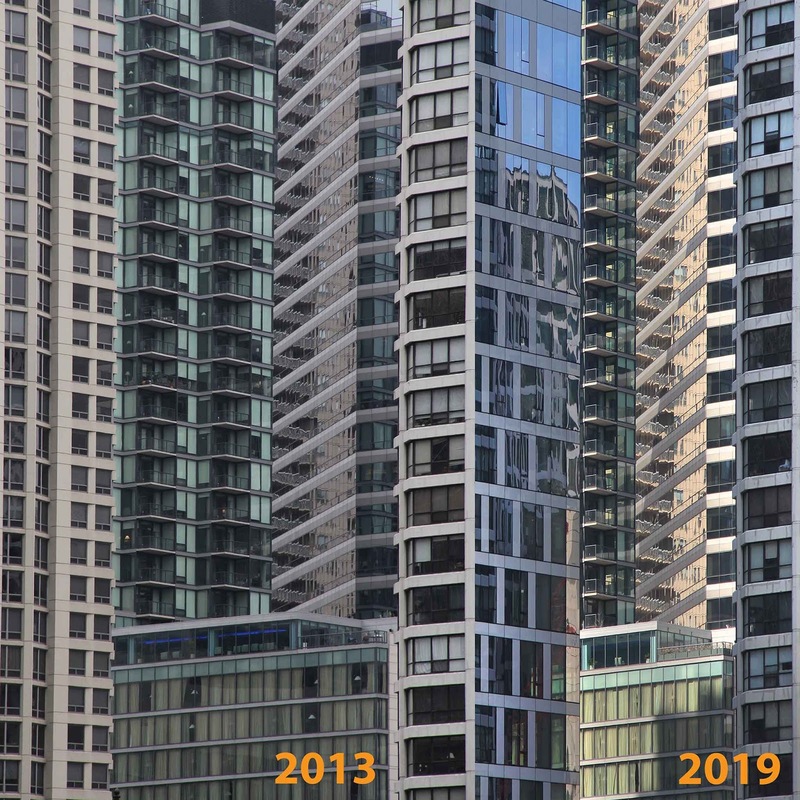 Compare the "Units" 2013-2019. New building blocks building at left. New construction changes the skyscraper quilt.